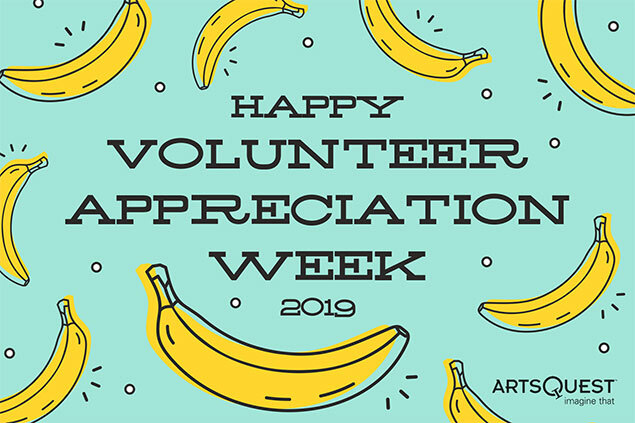 Thanks a bunch for being an ArtsQuest Volunteer! Volunteer Appreciation Week (April 7-13) is coming up and we are so excited to celebrate YOU, our amazing volunteers! While there is no “I” in team, we sure are glad there is a “u” in our volunteers! Be sure to check your mailboxes, inboxes & our Facebook page for surprises throughout the week.